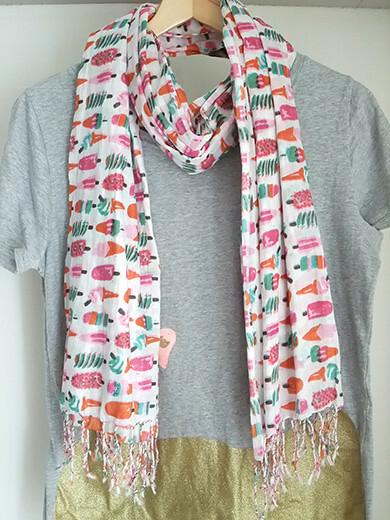 I fell in love with this scarf at first sight. 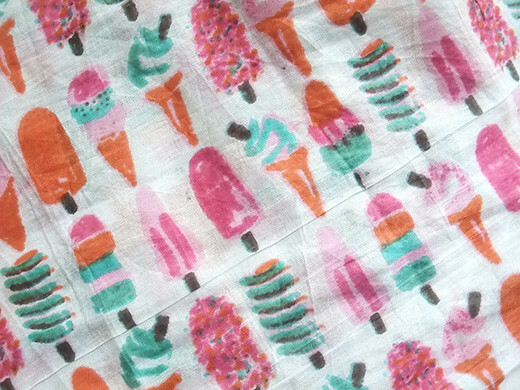 Cheerful ice cream and popsicles pattern makes me smile! 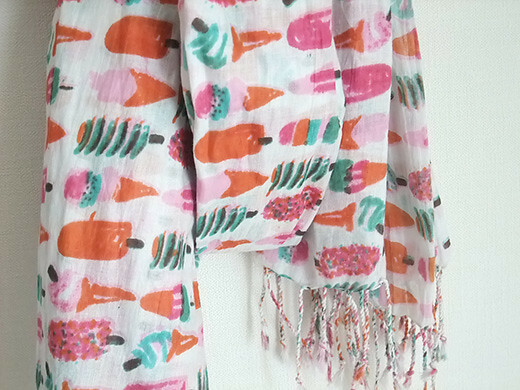 It is made of 100% cotton, great material for early summer.